Initially, electric auto rickshaws were met with the basic skepticism at the time of launch in India. The question on everyone’s mind was the efficiency and effectiveness, despite having proved to be a capable model in many countries. It didn’t help that electric bikes had paved the way – the success of which was largely questionable and didn’t quite meet the expectations that it had set out to begin with. The hiccups only lasted as long before roads were streaked with electric auto rickshaws of every color and style. The Chinese had marked their entry with cheap built, low priced electric auto rickshaws that soon multiplied as the next big thing to hit the public transport scenario. The rules clearly stated that Low Speed Vehicles did not require registration or even a driver’s license to ply on roads. This offered employed too many people who otherwise would have had to save over months and spend weeks in learning the rules of the road. The popularity was never questionable, but the application surely was after a few months into their running. 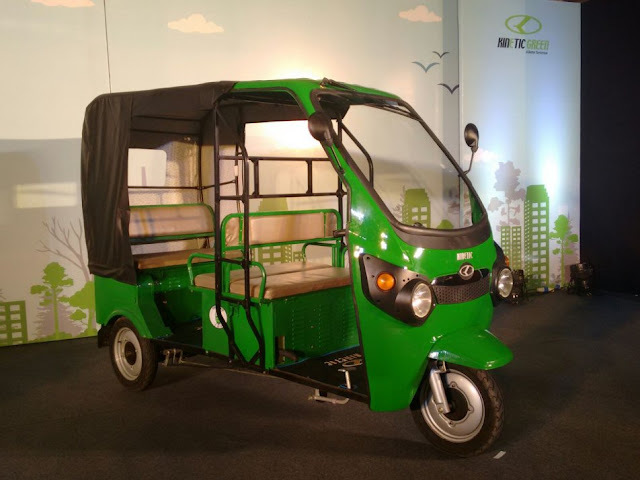 Pune-based Kinetic Green Energy and Power Solutions Limited, a venture of the Kinetic group, entered the green transport segment by introducing the indigenously designed battery operated e-Three Wheeler named 'Kinetic Safar'. 'Kinetic Safar' is positioned as an eco- friendly social innovation to promote pollution free yet affordable public transport in the country. Safar is designed to ensure reduction in carbon footprint with zero emission and sound and provide a cost effective solution for last mile connectivity as well as shared public transport in cities across India. Safar, has been approved by ARAI and has been designed to meet all government safety norms as per Central Motor Vehicle Rules(CMVR). Its boasts of a collection of unique safety and performance features that includes an all steel body for durability and ruggedness, dual headlamp for night vision, powerful brakes for safety, dash board with battery charge indicator and speedometer. Also, abiding with the CMVR guidelines, Safar can manage a maximum speed of 25 Km per hour and can suitably carry four passengers plus the driver comfortably. The company also announced that it has bagged India's largest ever institutional order for electric vehicles from UP Government. This order won on the basis of competitive bidding is for providing 27,000 Kinetic Safar vehicles amounting to Rs. 400 Crores of which delivery to be completed within 12 months. This e Rickshaw Yojana of Government of Uttar Pradesh is a social welfare initiative aimed at providing free e Rickshaws to the existing manual rickshaw pullers in the state in order to provide them a more dignified means of livelihood and towards poverty reduction. The Company has successfully completed delivery of the first 300 units of Kinetic Safar to UP Government and plans to enhance deliveries to 3,000 units per month. as reported by DNA India. The company is developing a strong dealer network for sale of the battery operated vehicles. The company with extensive network of service centers and distributors in the country will provide excellent service and charging back up to the new vehicles. 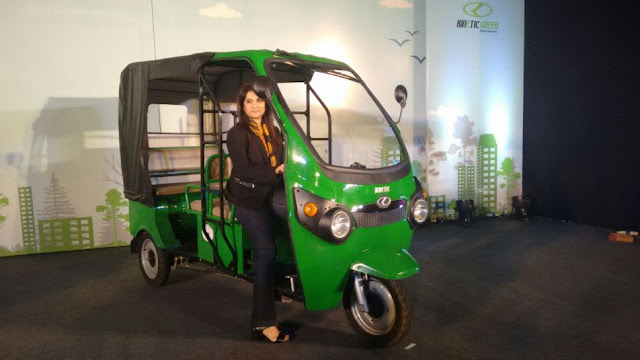 Kinetic Safar has been priced at INR 1.38 Lakh Ex-Showroom and as per Sulajja Firodia, Founder and CEO of Kinetic Green Energy and Power Solutions while launching the e-three wheeler in Delhi, " Safar will revolutionize last mile transport and create employment for lakhs of unemployed youth and poor. Kinetic is pleased to contribute to Government of India’s initiatives of reduction of pollution, improving health of our citizens and offering smart transport solutions', as reported by Bike Portal. Electric auto rickshaws don’t just replace the pedal rickshaws that require so much physical strain and discomfort but also prove to be a much more affordable solution to fuel/CNG auto rickshaws that have been used for the same purpose. This makes it the perfect alternative and middle ground between the two – being cost effective, green and incredibly easy to run and maintain.